The Caribbean islands, reaching from Antigua, St. Barts and Anguilla to St. Maarten, the Grenadines, the British Virgin Islands and the U.S. Virgin Islands, are traditional hot spots for yachting. 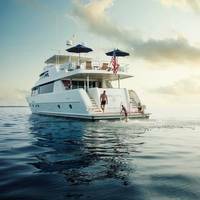 Yacht owners and marine suppliers in these areas frequently need to order supplies, ranging from spare parts to fishing gear, or restock provisions. It is important that orders arrive on time and in good condition, and airfreight is the preferred choice of transportation when time is of the essence. 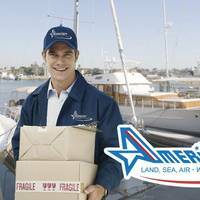 Amerijet International, Inc. has direct, all-cargo flights connecting the U.S. to the Caribbean. 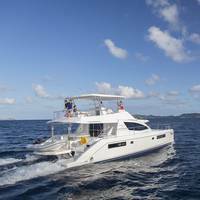 Yacht charter company The Moorings is preparing to add more than 20 new monohull yachts to its award-winning charter fleet in the British Virgin Islands. 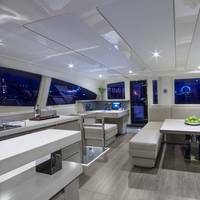 Steadfast in upholding the superior quality its clients have grown to expect, the company recently invested more than $50 million into the development of new yachts in more than 20 destinations across the globe. As part of this fleet investment, these new monohulls were specifically chosen to cater to classic sailing enthusiasts, many of whom are The Moorings most loyal and longstanding charter clients. 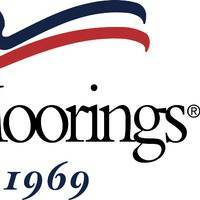 Yacht charter company The Moorings announced an investment in its global fleet. The company informs it will invest over $50 million this coming year on new sail and power yachts destined for vacation destinations worldwide. Building on a $40 million investment from the previous year, The Moorings will work in close partnership with yacht builders Beneteau and Robertson & Caine to evolve its fleet of custom-designed sailing monohulls and catamarans, as well as its fleet of power catamarans. Less than favorable wind conditions arose on day two of the Helly Hansen NOOD Regatta in Annapolis, giving sailors a shortened day of racing, with winds peaking at four knots. Saturday’s races allowed only one of 14 fleet classes to finish. NOOD Premier Sponsor, North Sails, presented awards to its Rally Race winner, the only class to complete a full race, as well as the most spirited local boat. 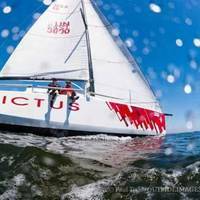 A new feature the regatta series, the North Sails Rally race encourages local competitors to participate in a low-key day of racing for one day only, with a long distance race within the Bay. 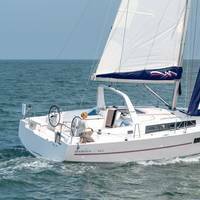 The Clearwater, Florida, company informs that the new boat will be available for charter in the British Virgin Islands in March 2014, and in the Bahamas in May. This luxury yacht is the custom-designed product of master boat builder Robertson and Cain to provide modern style while delivering superior performance. 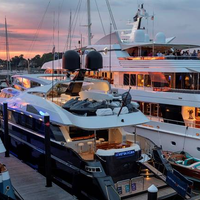 “There has been such an interest in this yacht that production has increased to provide more boats for customers,” said Shannan Brennan, Head of Global Marketing for The Moorings. 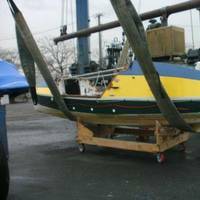 The 24-foot Brazilian made ocean rowboat christened the Spirit of Malabo nears completion of tests before its maiden transatlantic journey from Gran Canaria, Canary Islands to New York with a resupply in the British Virgin Islands. The vessel is currently docked at Pasito Blanco La Punta Yacht Club. 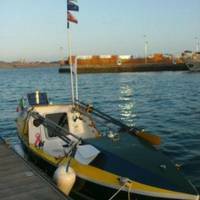 “The VHF, AIS, 24 hour tracking, radar, epirb, navigation lights, rowing seats and solar panels are working. The batteries are sustaining a charge. All emergency gear and dry bags is secured. USCG, Navy Responding to Disabled Sailboat off Va. The Coast Guard is responding to a disabled sailboat with four people aboard in the Atlantic Ocean Tuesday approximately 300 miles east of Cape Henry, Va. A representative from the manufacturer of the Be Good Too, a 42-foot sailboat, contacted the Coast Guard at approximately 1:30 p.m. Monday, reporting the Be Good Too was disabled and adrift during its transit from New York to the British Virgin Islands. "Last night we spoke with the Be Good Too crew and based on the forecasted weather, they decided they were willing to depart their vessel around 5 p.m. Monday," said Matthew Brooks, a Coast Guard 5th District Command Center command duty officer.